The Labour and Co-operative Parties, as two of the most powerful and successful social movements in the country, have a fantastic and exciting opportunity in the weeks ahead to make the case for our shared values, principles and politics. 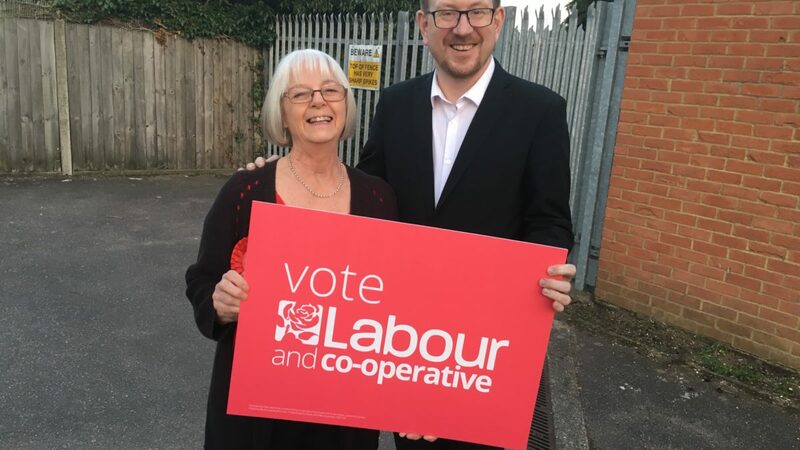 Jenni Jackson has kick-started her campaign to be the town’s Labour & Co-operative Mayor, with Andrew Gwynne MP, Shadow Secretary of State for Local Government. Jenni has a fantastic track record of helping promote co-ops and co-operation which has translated into the manifesto she has just launched. A manifesto with co-operative ideas such as co-operative development, tackling modern slavery and supporting credit unions. Great evening joining @Jenni4Bedford, @YasinMPBedford, councillors, candidates and activists at the launch of the @BedfordLabour local elections manifesto. The launch was also attended by Joe Fortune of the Co-operative Party who spoke about the work of the Co-operative Party in striving for a common decency, in difficult politics times. “The Conservative Government over its various incarnations since 2010 has ravaged many of the services and aspects of life which we hold dear. This includes through a coalition with the Liberal Democrats, a fact which wont be lost on yourselves here. We wish Jenni and the Labour & Co-operative candidates in Bedford all the best for 2nd May.